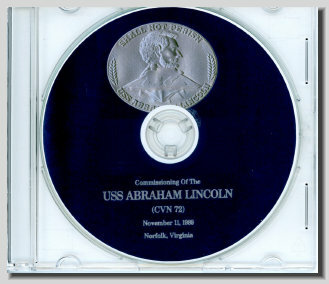 You would be purchasing the USS Abraham Lincoln CVN 72 Commissioning Program. The pages are Hi-Resolution in PDF format. The pages can be printed from the CD. Each page has been placed on a CD for years of enjoyable computer viewing. The CD comes in a plastic sleeve with a custom label. Over 54 pictures 53 pages.